Now consider that the only scenario that would make the above statement true (and still allow for the existence of a wave) is if E sub z is equal to zero. Any other assumption that would make the above statement true would also infer the lack of a wave in the first place! 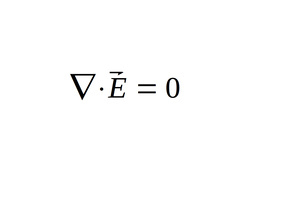 Therefore if E sub z is equal to zero, then electric field (E) has no component in the direction of wave propagation (z-direction in this case.) We would arrive at the same conclusion even if the direction of wave propagation was taken to be along the x or y axis. We use the same rationale here as we did with electric field and realize that the above statement can only be true (and allow for the existence of a wave) if B sub z is equal to zero. Anything else used to verify the above statement would mean no wave exists. 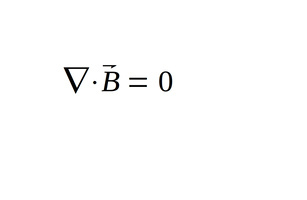 Therefore B sub z is equal to zero, meaning that magnetic field has no component in the direction of wave propagation (z-direction in this case.) We have now proven that for an electromagnetic field, neither electric field (E) nor magnetic field (B) has a component in the direction of wave propagation (direction of wave travel).